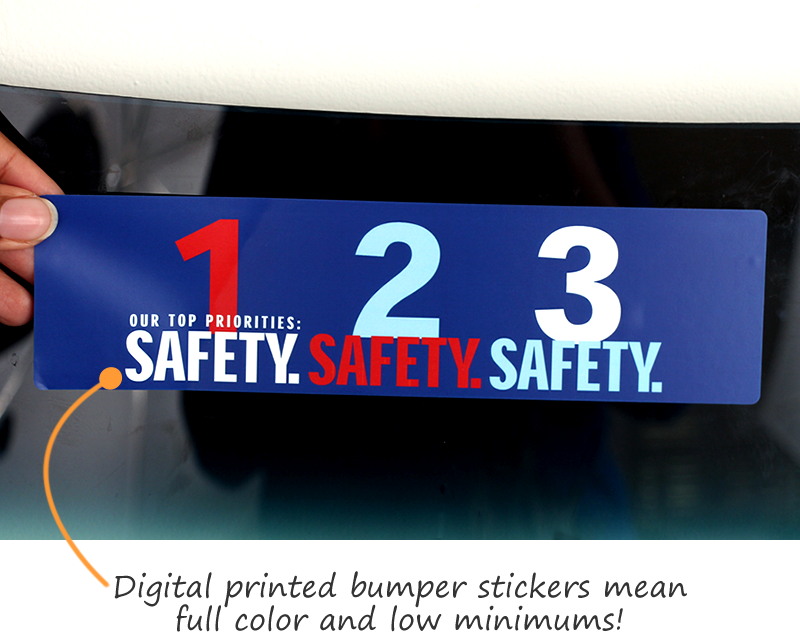 Bumper stickers are a visible and easy way to advertise and grow your safety and quality assurance programs. These designs are all effective - they are eye-catching and have clear messages. • Help motivate and reward your team - they will pay more attention if they know that you care. • Or, create your own personalized design. 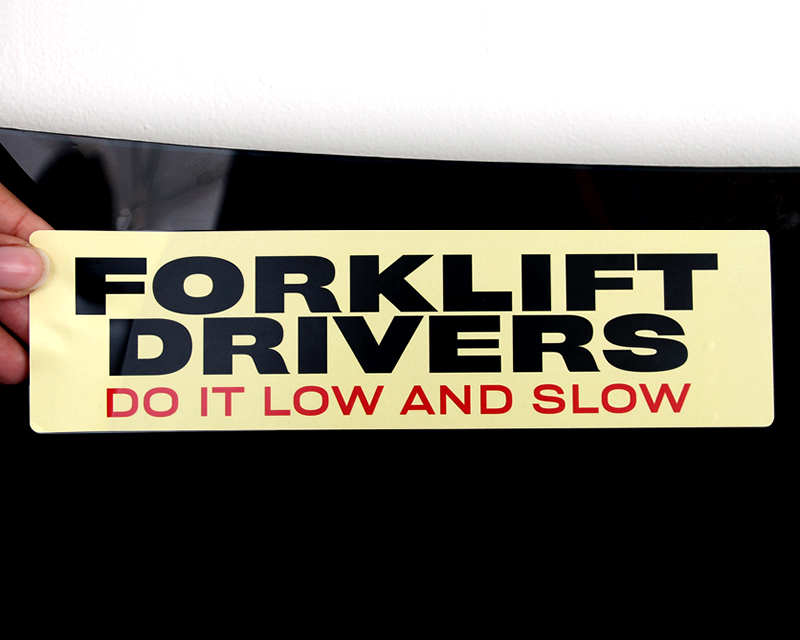 Upload your own designs or just add your text to one of our professional custom bumper sticker templates. 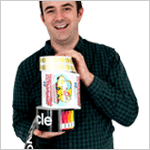 It is easy to get exactly what you want! 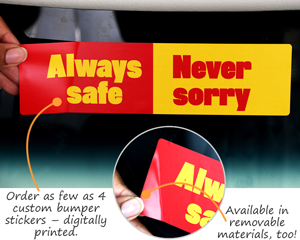 Custom bumper stickers are available in a wide variety of shapes and materials. 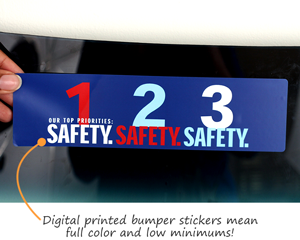 • Bumper stickers are printed in full color using digital presses. 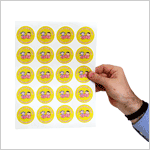 This means that you can order as few as four custom stickers. • Both in-stock and customer bumper stickers are available in a range of materials, including removable vinyl, laminated vinyl, low cost removable paper and removable fluorescent. 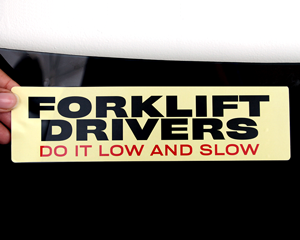 Custom Bumper Stickers - 3" x 5"
Custom Bumper Stickers - 2.5" x 9.25"